I'm in awe! What a wonderful mechanical contraption. It's in the Netherlands ... and I didn't know it. 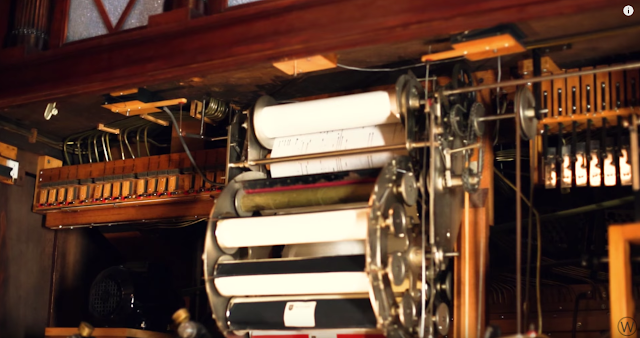 Build in 1921, 3 meters high, 17 instruments, 10 revolving rolls.